Have you Worked on Morphological Awareness Lately? Her question got me thinking: “How much time do I spend on treating morphological awareness in therapy with monolingual and bilingual language disordered clients?” The answer did not make me happy! So what is morphological awareness and why is it important to address when treating monolingual and bilingual language impaired students? 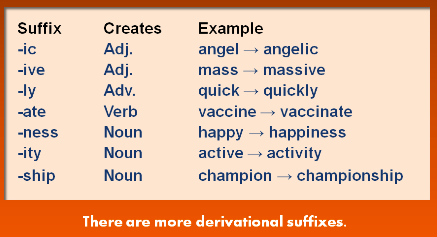 Morphemes are the smallest units of language that carry meaning. They can be free (stand alone words such as ‘fair’, ‘toy’, or ‘pretty’) or bound (containing prefixes and suffixes that change word meanings – ‘unfair’ or ‘prettier’). Morphological awareness refers to a ‘‘conscious awareness of the morphemic structure of words and the ability to reﬂect on and manipulate that structure’’ (Carlisle, 1995, p. 194). Also referred to as “the study of word structure” (Carlisle, 2004), it is an ability to recognize, understand, and use affixes or word parts (prefixes, suffixes, etc) that “carry significance” when speaking as well as during reading tasks. It is a hugely important skill for building vocabulary, reading fluency and comprehension as well as spelling (Apel & Lawrence, 2011; Carlisle, 2000; Binder & Borecki, 2007; Green, 2009). So why is teaching morphological awareness important? Let’s take a look at some research. Goodwin and Ahn (2010) found morphological awareness instruction to be particularly effective for children with speech, language, and/or literacy deficits. After reviewing 22 studies Bowers et al. (2010) found the most lasting effect of morphological instruction was on readers in early elementary school who struggled with literacy. Morphological awareness instruction mediates and facilitates vocabulary acquisition leading to improved reading comprehension abilities (Bowers & Kirby, 2010; Carlisle, 2003, 2010; Guo, Roehrig, & Williams, 2011; Tong, Deacon, Kirby, Cain, & Parilla, 2011). Unfortunately as important morphological instruction is for vocabulary building, reading fluency, reading comprehension, and spelling, it is often overlooked during the school years until it’s way too late. For example, traditionally morphological instruction only beings in late middle school or high school but research actually found that in order to be effective one should actually begin teaching it as early as first grade (Apel & Lawrence, 2011). So now that we know that we need to target morphological instruction very early in children with language deficits, let’s talk a little bit regarding how morphological awareness can be assessed in language impaired learners. 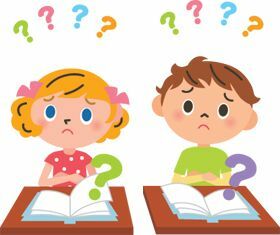 When it comes to standardized testing, both the Test of Language Development: Intermediate – Fourth Edition (TOLD-I:4) and the Test of Adolescent and Adult Language–Fourth Edition (TOAL-4) have subtests which assess morphology as well as word derivations. However if you do not own either of these tests you can easily create non-standardized tasks to assess morphological awareness. Apel, Diehm, & Apel (2013) recommend multiple measures which include: phonological awareness tasks, word level reading tasks, as well as reading comprehension tasks. One can test morphological awareness via production or decomposition tasks. In a production task a student is asked to supply a missing word, given the root morpheme (e.g., ‘‘Sing. He is a great _____.’’ Correct response: singer). A decomposition task asks the student to identify the correct root of a given derivation or inflection. (e.g., ‘‘Walker. How slow can she _____?’’ Correct response: walk). Another way to test morphological awareness is through completing analogy tasks since it involves both decomposition and production components (provide a missing word based on the presented pattern—crawl: crawled:: fly: ______ (flew). Still another way to test morphological awareness with older students is through deconstruction tasks: Tell me what ____ word means? How do you know? (The student must explain the meaning of individual morphemes). Finding the affix: Does the word ______ have smaller parts? So what are the components of effective morphological instruction you might ask? Now that you know about the importance of morphological awareness, will you be incorporating it into your speech language sessions? I’d love to know! Apel, K., & Diehm, E. (2013). Morphological awareness intervention with kindergarteners and first and second grade students from low SES homes: A small efficacy study. Journal of Learning Disabilities. Apel, K., & Lawrence, J. (2011). Contributions of morphological awareness skills to word-level reading and spelling in first-grade children with and without speech sound disorder. Journal of Speech, Language & Hearing Research, 54, 1312–1327. Apel, K., Brimo, D., Diehm, E., & Apel, L. (2013). Morphological awareness intervention with kindergarteners and first and second grade students from low SES homes: A feasibility study. Language, Speech, and Hearing Services in Schools, 44, 161-173. Binder, K. & Borecki, C. (2007). The use of phonological, orthographic, and contextualinformation during reading: a comparison of adults who are learning to read and skilled adult readers. Reading and Writing, 21, 843-858. Bowers, P.N., Kirby, J.R., Deacon, H.S. (2010). The effects of morphological instruction on literacy skills: A systematic review of the literature. Review of Educational Research, 80, 144-179. Carlisle, J. F. (1995). Morphological awareness and early reading achievement. In L. B. Feldman (Ed. ), Morphological aspects of language processing (pp. 189–209). Hillsdale, NJ: Erlbaum. Carlisle, J. F. (2000). Awareness of the structure and meaning of morphologically complex words: Impact on reading. Reading and Writing: An Interdisciplinary Journal,12,169-190. Carlisle, J. F. (2004). Morphological processes that influence learning to read. In C. A. Stone, E. R. Silliman, B. J. Ehren, & K. Apel (Eds. ), Handbook of language and literacy. NY: Guilford Press. Carlisle, J. F. (2010). An integrative review of the effects of instruction in morphological awareness on literacy achievement. Reading Research Quarterly, 45(4), 464-487. Goodwin, A.P. & Ahn, S. (2010). Annals of Dyslexia, 60, 183-208. Green, L. (2009). Morphology and literacy: Getting our heads in the game. Language, Speech, and Hearing Services in the schools, 40, 283-285. Green, L., & Wolter, J.A. (2011, November). Morphological Awareness Intervention: Techniques for Promoting Language and Literacy Success. A symposium presentation at the annual American Speech Language Hearing Association, San Diego, CA. Guo, Y., Roehrig, A. D., & Williams, R. S. (2011). The relation of morphological awareness and syntactic awareness to adults’ reading comprehension: Is vocabulary knowledge a mediating variable? Journal of Literacy Research, 43, 159-183. Tong, X., Deacon, S. H., Kirby, J. R., Cain, K., & Parrila, R. (2011). Morphological awareness: A key to understanding poor reading comprehension in English. Journal of Educational Psychology, 103 (3), 523-534. Introduction: When it comes to bilingual children who stutter there is still considerable amount of misinformation regarding the best recommendations on assessment and treatment. 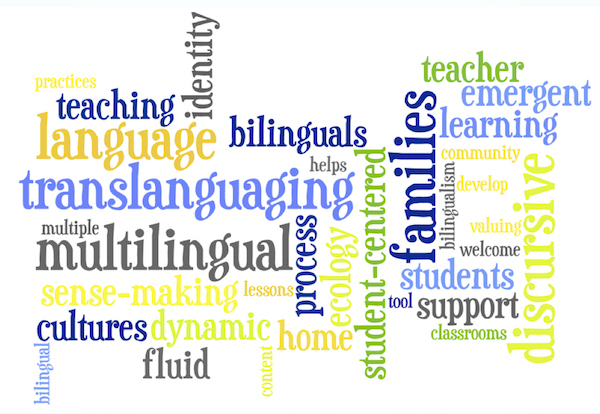 The aim of this article is to review best practices in assessment and treatment of bilingual children who stutter, to shed some light on this important yet highly misunderstood area in speech-language pathology. Types of Bilingualism: Young bilingual children can be broadly divided into two categories: those who are learning several languages simultaneously from birth (simultaneous bilingual), and those who begin to learn a second language after two years of age (sequential bilingual) (De Houwer, 2009b). The language milestones for simultaneous bilinguals may be somewhat uneven but they are not that much different from those of monolingual children (De Houwer, 2009a). Namely, first words emerge between 8 and 15 months and early phrase production occurs around +/-20 months of age, with sentence production following thereafter (De Houwer, 2009b). In contrast, sequential bilinguals undergo a number of stages during which they acquire abilities in the second language, which include preproduction, early production, as well as intermediate and advanced proficiency in the second language. Stuttering and Monolingual Children: With respect to stuttering in the monolingual children we know that there are certain risk factors associated with stuttering. These include family history (family members who stutter), age of onset (children who begin stuttering before the age of three have a greater likelihood of outgrowing stuttering), time since onset (depending on how long the child have been stuttering certain children may outgrow it), gender (research has shown that girls are more likely to outgrow stuttering than boys), presence of other speech/language factors (poor speech intelligibility, advance language skills etc.) (Stuttering Foundation: Risk Factors). We also know that the symptoms of stuttering manifest via sound, syllable and word repetitions, sound prolongations as well as sound and word blocks. In addition to overt stuttering characteristics there could also be secondary characteristics including gaze avoidance, word substitutions, anxiety about speaking, muscle tension in the face, jaw and neck, as well as fist clenching, just to name a few. Stuttering and Bilingual Children: So what do we currently know regarding the manifestations of stuttering in bilingual children? Here is some information based on existing research. While some researchers believe that stuttering is more common in bilingual versus monolingual individuals, currently there is no data which supports such a hypothesis. The distribution and severity of stuttering tend to differ from language to language and one language is typically affected more than the other (Van Borsel, Maes & Foulon, 2001). Lim and colleagues (2008) found that language dominance influences the severity but not the types of stuttering behaviors. They also found that bilingual stutterers exhibit different stuttering characteristics in both languages such as displaying stuttering on content words in L1 and function words in L2 (less-developed language system). According to Watson & Kayser (1994) key features of ‘true’ stuttering include the presence of stuttering in both languages with accompanying self-awareness as well as secondary behaviors. This is important to understand giving the fact that bilingual children in the process of learning another language may present with pseudo-stuttering characteristics related to word retrieval rather than true stuttering. Assessment of Bilingual Stutterers: Now let’s talk about aspects of the assessment. Typically assessment should begin with the taking of detailed background history regarding stuttering risk factors, the extent of the child’s exposure and proficiency in each language, age of stuttering onset, the extent of stuttering in each language, as well as presence of any other concomitant concerns regarding the child’s speech and language (e.g., suspicion of language/articulation deficits etc.) Shenker (2013) also recommends the parental use of perceptual rating scales to assess child’s proficiency in each language. Assessment procedures, especially those for newly referred children (vs. children whose speech and language abilities were previously assessed), should include comprehensive assessments of speech and language in addition to assessment of stuttering in order to rule out any hidden concomitant deficits. It is also important to obtain conversational and narrative samples in each language as well as reading samples when applicable. When analyzing the samples it is very important to understand and make allowance for typical disfluencies (especially when it comes to preschool children) as well as understand the difference between true stuttering and word retrieval deficits (which pertain to linguistic difficulties), which can manifest as fillers, word phrase repetitions, as well as conversational pauses (German, 2005). When analyzing the child’s conversational speech for dysfluencies it may be helpful to gradually increase linguistic complexity in order to determine at which level (e.g., word, phrase, etc.) dysfluencies take place (Schenker, 2013). To calculate frequency and duration of disfluencies, word-based (vs. syllable-based) counts of stuttering frequency will be more accurate across languages (Bernstein Ratner, 2004). Finally during the assessment it is also very important to determine the family’s cultural beliefs toward stuttering since stuttering perceptions vary greatly amongst different cultures (Tellis & Tellis, 2003) and may not always be positive. For example, Waheed-Kahn (1998) found that Middle Eastern parents attempted to deal with their children’s stuttering in the following ways: prayed for change, asked them to “speak properly”, completed their sentences, changed their setting by sending them to live with a relative as well as asked them not to talk in public. Gauging familial beliefs toward stuttering will allow clinicians to: understand parental involvement and acceptance of therapy services, select best treatment models for particular clients as well as gain knowledge of how cultural attitudes may impact treatment outcomes (Schenker, 2013). Treatment of Bilingual Stutterers: With respect to stuttering treatment delivery for bilingual children, research has found that treatment in one language results in spontaneous improvement in fluency in the untreated language (Rousseau, Packman, & Onslow, 2005). This is helpful for monolingual SLPs who often do not have the option of treating clients in their birth language. 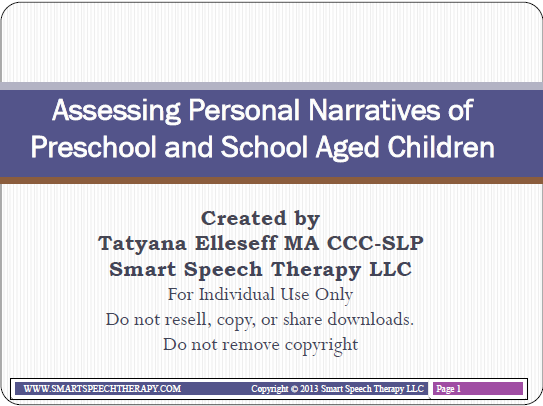 For young preschool children both direct and indirect therapy approaches may be utilized. For example, the Palin (PCI) approach for children 2-7 years of age uses play-based sessions, video feedback, and facilitated discussions to help parents support and increase their child’s fluency. Its primary focus is to modify parent–child interactions via a facilitative rather than an instructive approach by developing and reinforcing parents’ expertise via use of video feedback to set own targets and reinforce progress. In contrast, the Lidcombe Program for children 2-7 years of age is a behavioral treatment with a focus on stuttering elimination. It is administered by the parents under the supervision of an SLP, who teaches the parents how to control the child’s stuttering with verbal response contingent stimulation (Onslow & Millard, 2012). While the Palin PCI approach still requires further research to determine its use with bilingual children, the Lidcombe Program has been trialed in a number of studies with bilingual children and was found to be effective in both languages (Schenker, 2013). For bilingual school-age children with persistent stuttering, it is important to focus on stuttering management vs. stuttering elimination (Reardon-Reeves & Yaruss, 2013). Here we are looking to reduce frequency and severity of disfluencies, teach the children to successfully manage stuttering moments, as well as work on the student’s emotional attitude toward stuttering. Use of support groups for children who stutter (e.g., “FRIENDS”: http://www.friendswhostutter.org/), may also be recommended. Depending on the student’s preferences, desires, and needs, the approaches may involve a combination of fluency shaping and stuttering modification techniques. Fluency shaping intervention focuses on increasing fluent speech through teaching methods that reduce speaking rate such as easy onsets, loose contacts, changing breathing, prolonging sounds or words, pausing, etc. The goal of fluency shaping is to “encourage spontaneous fluency where possible and controlled fluency when it is not” (Ramig & Dodge, 2004). In contrast stuttering modification therapy focuses on modifying the severity of stuttering moments as well as on reduction of fear, anxiety and avoidance behaviors associated with stuttering. Stuttering modification techniques are aimed at assisting the client “to confront the stuttering moment through implementation of pre-block, in-block, and/or post-block corrections, as well as through a change in how they perceive the stuttering experience” (Ramig & Dodge, 2004). While studies on these treatment methods are still very limited it is important to note that each technique as well as a combination of both techniques have been trialed and found successful with bilingual and even trilingual speakers (Conture & Curlee, 2007; Howell & Van Borsel, 2011). Finally, it is very important for clinicians to account for cultural differences during treatment. 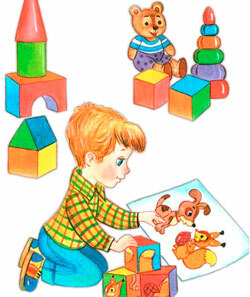 This can be accomplished by carefully selecting culturally appropriate stimuli, preparing instructions which account for the parents’ language and culture, attempting to provide audio/video examples in the child’s birth language, as well as finding/creating opportunities for practicing fluency in culturally-relevant contexts and activities (Schenker, 2013). Conclusion: Presently, no evidence has been found that bilingualism causes stuttering. Furthermore, treatment outcomes for bilingual children appear to be comparable to those of monolingual children. Bilingual SLPs encountering bilingual children who stutter are encouraged to provide stuttering treatment in the language the child is most proficient in. Monolingual SLPs encountering bilingual children are encouraged to provide stuttering treatment in English with the expectation that the treatment will carry over into the child’s birth language. All clinicians are encouraged to involve the children’s families in the stuttering treatment as well as utilize methods and interventions that are in agreement with the family’s cultural beliefs and values, in order to create optimum treatment outcomes for bilingual children who stutter. Bernstein Ratner, N. (2004). Fluency and stuttering in bilingual children. In B. Goldstein (ed.). Language Development: a focus on the Spanish-English speaker. Baltimore, MD: Brookes. (287-310). Conture, E. G., & Curlee, R. F. (2007). Stuttering and related disorders of fl uency. New York, NY: Thieme Medical Publishers. De Houwer, A. (2009a). Bilingual first language acquisition. Bristol: Multilingual Matters. De Houwer, A. (2009b). Assessing lexical development in bilingual first language acquisition: What can we learn from monolingual norms? In M. Cruz-Ferreira (Ed. 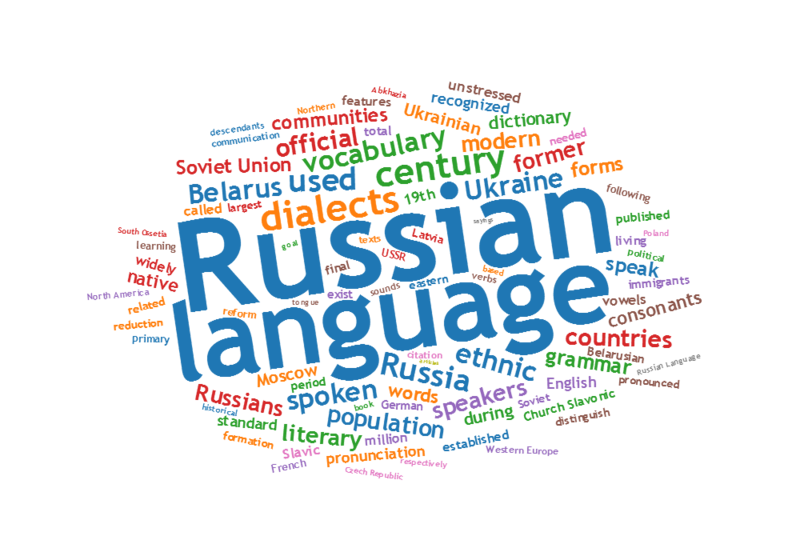 ), Multilingual norms (pp. 279-322). Frankfurt: Peter Lang. Howell, P & Van Borsel, , (2011). Multicultural Aspects of Fluency Disorders, Multilingual Matters, Bristol, UK. Lim, V. P. C., Rickard Liow, S. J., Lincoln, M., Chan, Y. H., & Onslow, M. (2008). Determining language dominance in English–Mandarin bilinguals: Development of a selfreport classification tool for clinical use. Applied Psycholinguistics, 29, 389–412. Onslow M, Millard S. (2012). Palin Parent Child Interaction and the Lidcombe Program: Clarifying some issues. Journal of Fluency Disorders37(1 ):1-8. Tellis, G. & Tellis, C. (2003). Multicultural issues in school settings. Seminars in Speech and Language, 24, 21-26. Reardon-Reeves, N., & Yaruss, J.S. (2013). 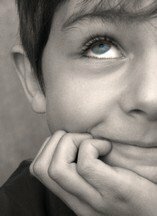 School-age Stuttering Therapy: A Practical Guide. McKinney, TX: Stuttering Therapy Resources, Inc.
Rousseau, I., Packman, A., & Onslow, M. (2005, June). A trial of the Lidcombe Program with school age stuttering children. Paper presented at the Speech Pathology National Conference, Canberra, Australia. Shenker, R. C. (2013). Bilingual myth-busters series. When young children who stutter are also bilingual: Some thoughts about assessment and treatment. Perspectives on Communication Disorders and Sciences in Culturally and Linguistically Diverse (CLD) Populations, 20(1), 15-23. Van Borsel, J. Maes, E., & Foulon, S. (2001). Stuttering and bilingualism: A review. 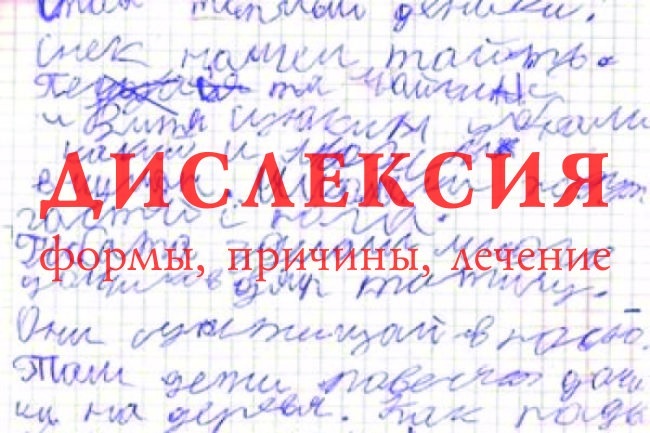 Journal of Fluency Disorders, 26, 179-205. Waheed-Kahn, N. (1998). Fluency therapy with multilingual clients. In Healey, E. C. & Peters, H. F. M. (Eds. ),Proceedings of the Second World Congress on Fluency Disorders, San Francisco, August 18. 22(pp. 195–199). Nijmegen, The Netherlands: Nijmegen University Press. Watson, J., & Kayser, H. (1994). Assessment of bilingual/bicultural adults who stutter. Seminars in Speech and Language, 15, 149-163.